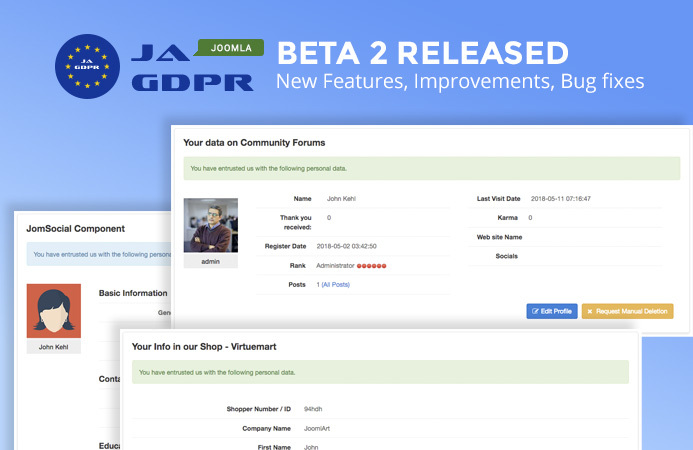 Today we would like to announce Beta 2 release of JA Joomla GDPR extension with new features, improvement and bug fixes. Thanks for your feedback, we have tried to include most of the requested features and workflows in this release. JA Joomla GDPR extension brings GDPR compliance to Joomla sites. Easy to setup and customize. 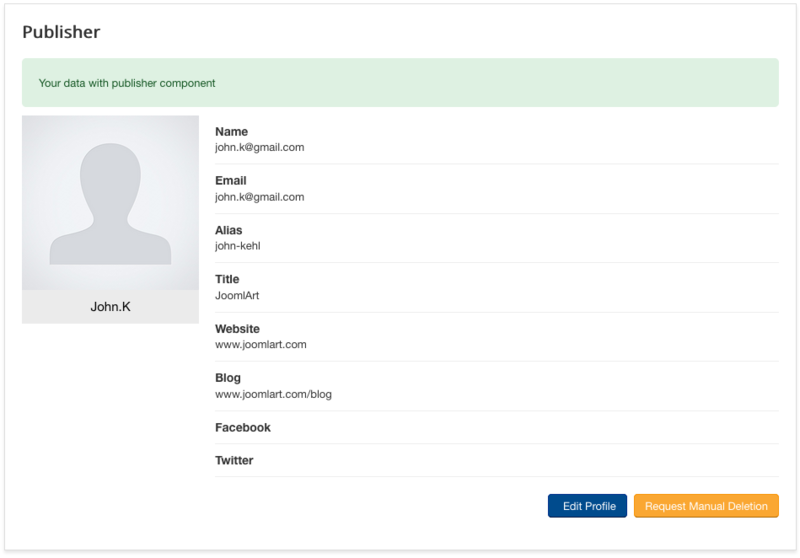 displays personal data of users as stored by the Joomla site owners. 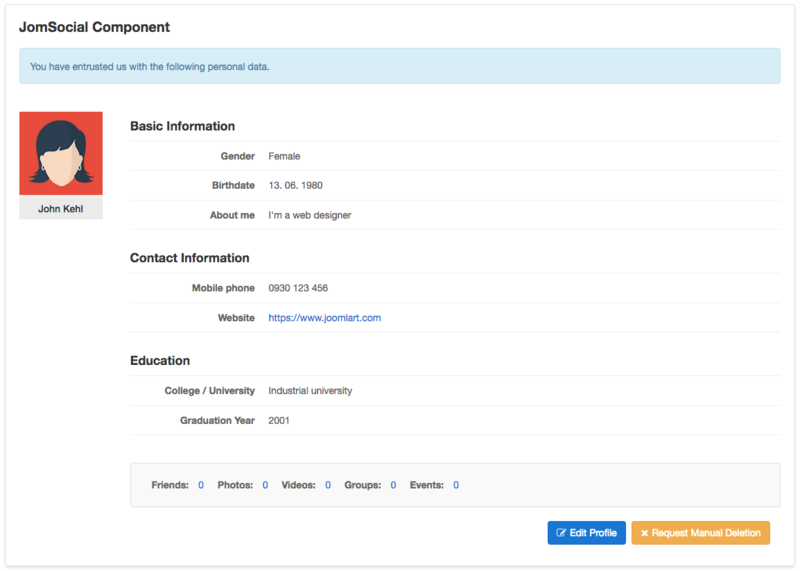 New feature: Email options with custom templates for better communication. 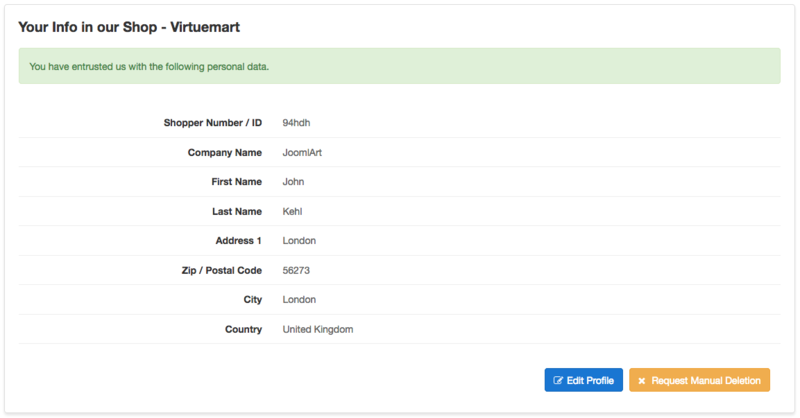 New feature: Multiple action buttons in Admin dashboard allowing admin to process user's data deletion request. 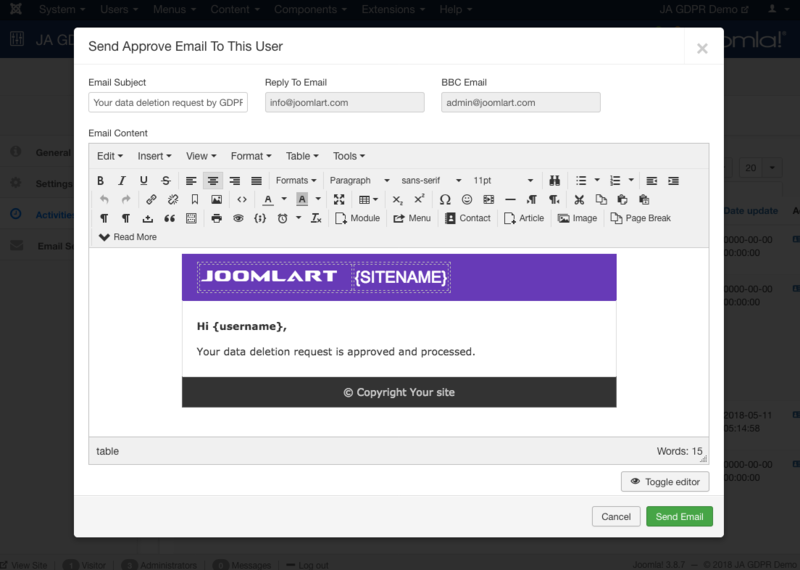 The new email system allows site owner to comunicate progress / action taken on user requests with ease. Based on chosen action, it is now possible to send appropriate email (can be customized for each individual). Admin can also add BCC email. This email is sent to Administrator of the website when user submit manual deletion request in the Custom Section. The admin dashboard - Activities tab is to help admin manage user's data deletion, data deletion request and custom data deletion request. 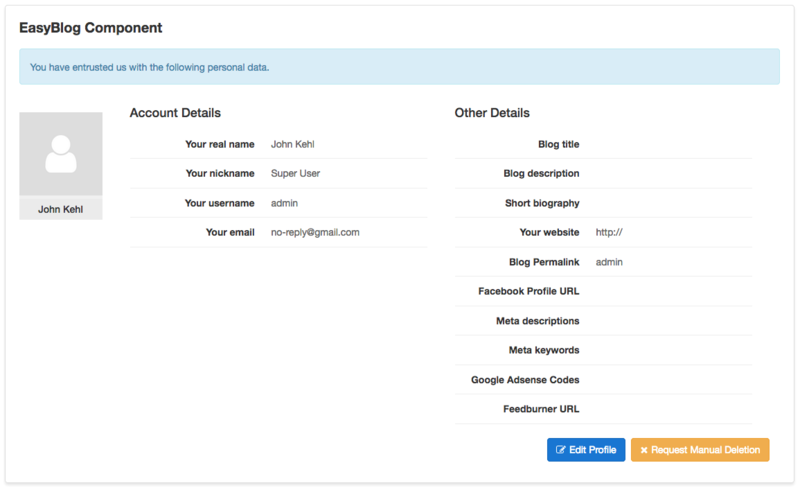 When a user submit data deletion request, the request will be added to admin dashboard. Admin can check and decide what to do with the proces, he can approve, reject or manually delete some data from the request. Options for admin to manage user's data deletion request. 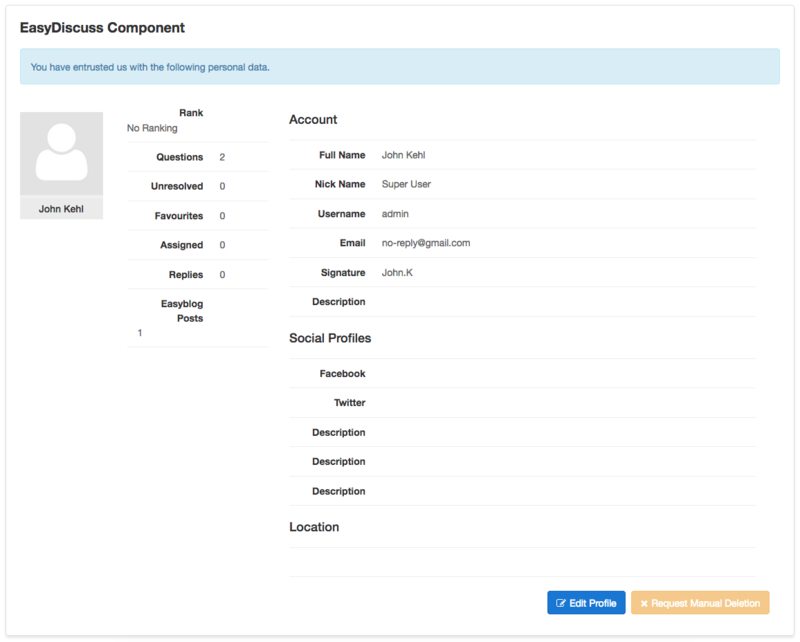 Aprrove: approve and auto delete user's data deletion request and send notification email to user. 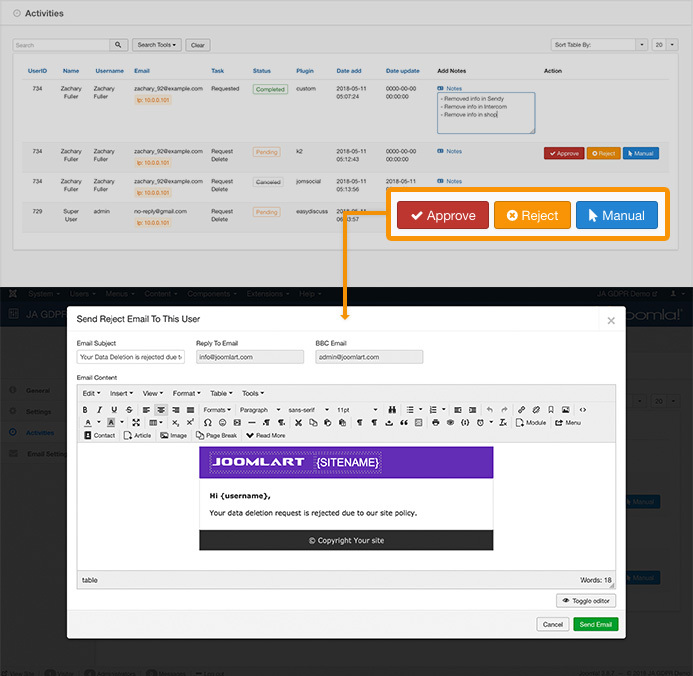 Admin can update Reply email, BBC email, email subject and email content each time you send, the fields are loaded from "Approve Email Template" fields in the the Email Settings page. Reject: reject the user's deletion request, no data is deleted and send email to user to notify the reject and reasons. 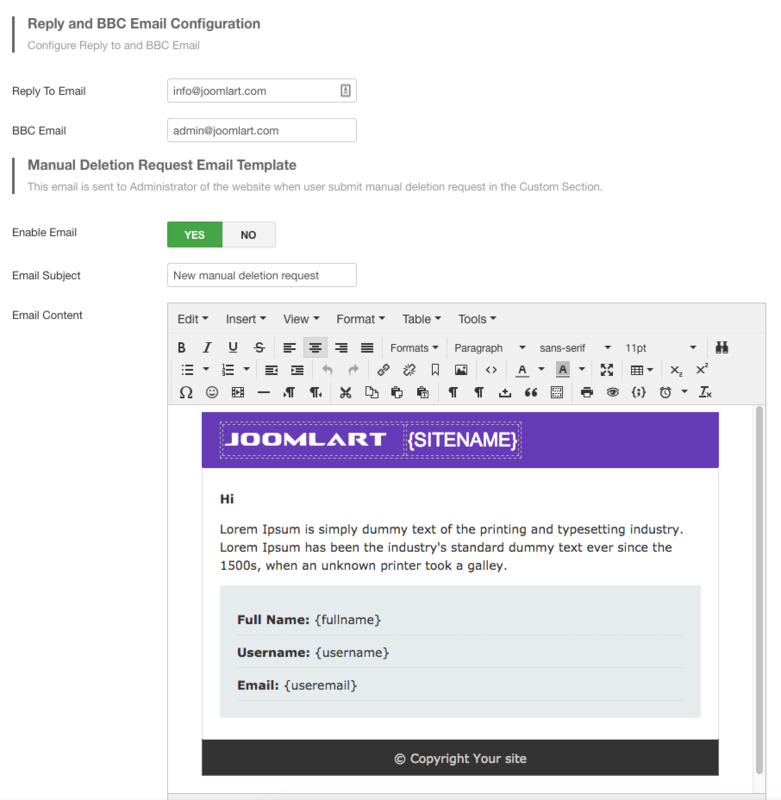 Admin can update Reply email, BBC email, email subject and email content each time you send, the fields are loaded from "Reject Email Template" fields in the Email Settings page. Manual: Admin will manually delete data for user. Once done, Admin click on the button Manual to change the request as complete and send email to user to notify which data has been deleted. 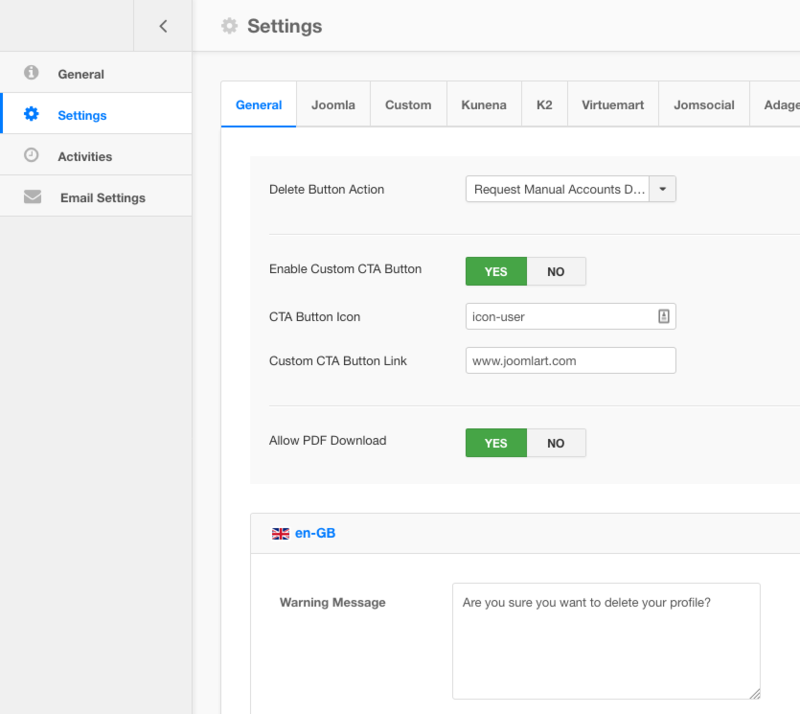 Admin can also change BBC email, email subject and email content each time you send, the fields are loaded from "Manual Deletion Complete Email Notification Template" fields in the Email Settings page. Admin can add notes for each request where he can put what info was removed for the request. 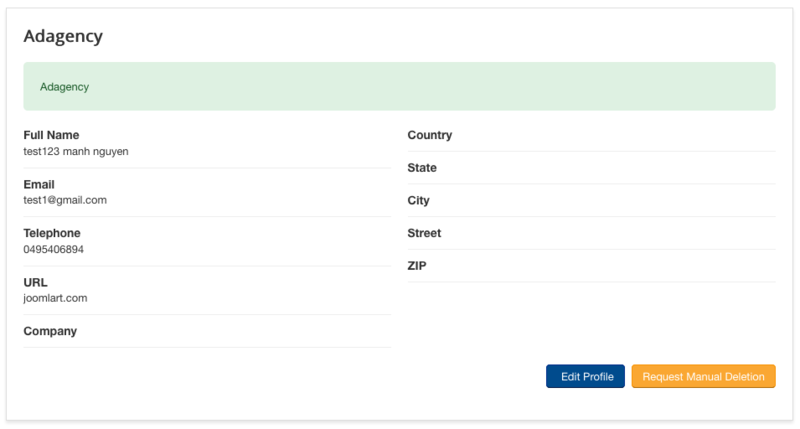 We restructured the back-end to make the settings and configuration easier to user. 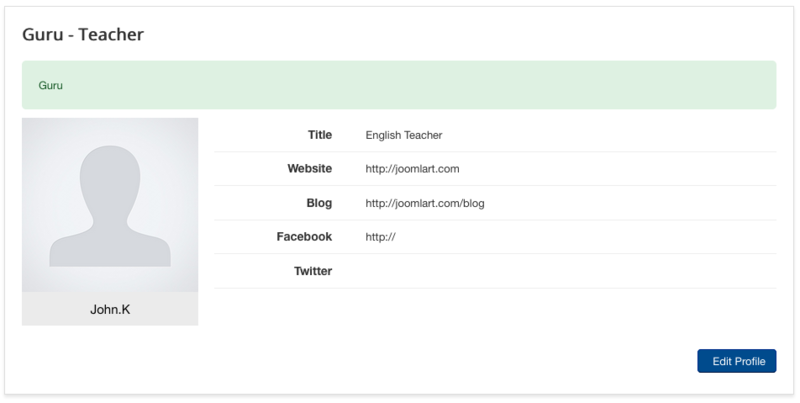 Integration with Joomla 3.9 privacy features. Feel free to comment, suggest features in the comment box below.